After mounting fuel sensor, it should be configured. To do that, installation specialist connects sensor to a laptop, where service software is installed. Usually, installation of sensor to a vehicle is done outside, sometimes in bad weather conditions – rain, dust, snow, cold – that makes configuration process a hard task and increases risks of making a mistake. S6 BT Adapter allows installation specialist to configure fuel sensors while being in comfortable conditions – e.g. sitting in a corporate car or inside a cabin of customer’s vehicle. No laptop and meters of cables needed anymore – configuration is done using smartphone or tablet (Android-based). 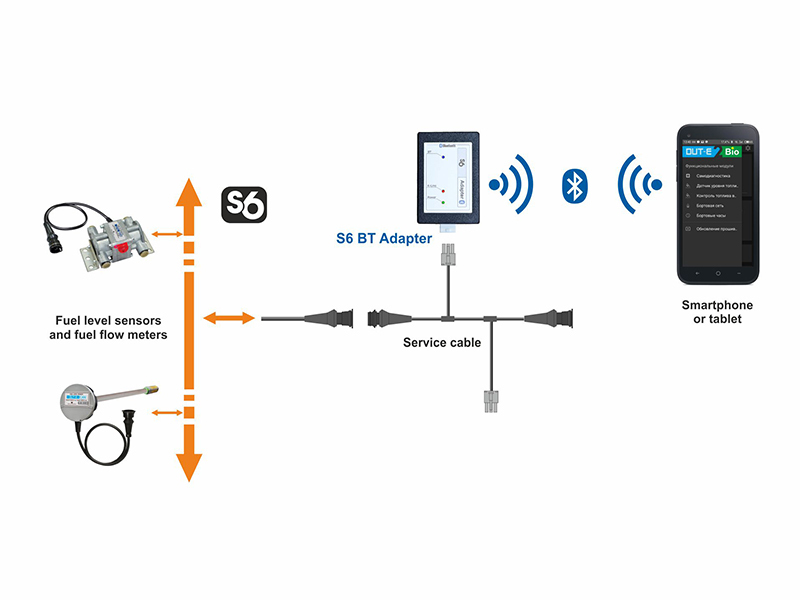 After connecting S6 BT Adapter to installed sensor, activate Bluetooth on your smartphone/tablet and run Technoton’s Service S6 App (downloaded from Google Play market) – now you can adjust all necessary settings of the sensor attentively and at an easy pace. 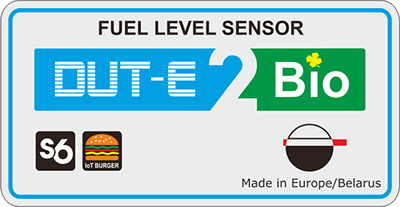 S6 BT Adapter can be used with Technoton’s products built on IoT Burger technology: DUT-E fuel level sensors, DUT-E 2bio fuel level sensors for biodiesel, DUT-E GSM fuel level sensors with inbuilt GSP & GSM, DFM fuel flow meters. Products, which could be configured via Bluetooth, are marked with IoT Burger logo. You get additional advantage if configuring Technoton devices, connected through S6 telematics interface – you do not need to disconnect them and reconnect each one to your laptop, everything is done through S6 BT Adapter and mobile app.